The Institute of Arts and Humanities oversees the Chinese, Japanese, and Hebrew language programs at UC San Diego. The language faculty that teach our courses are a valued part of the diverse Institute of Arts and Humanities community. 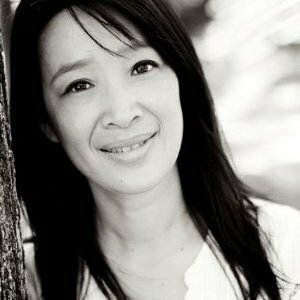 Qin-Hong Anderson has experience teaching Chinese at all levels. Before moving to the U.S., she earned a B.A. in Chinese Linguistics and Literature. She holds an M.S. in Instructional Design from Ithaca College (Ithaca, New York) and is the author of Masterworks Chinese Companion: Expressive Literacy through Reading and Composition (Chen & Tsui). Before joining the Chinese Studies Program at UCSD, she taught Chinese language at Cornell University for an extended period. She is passionate about teaching and enjoys connecting with her students tremendously. UC San Diego Alumni recently named her as one of the "Favorite Professors at UC San Diego," and she was invited to the first ever Brunch-with-a-Prof during Homecoming Weekend in October 2018. What initially drew you to language instruction? I was very lucky to meet a group of intelligent, driven and fun loving international expats who wanted to learn Chinese from me while working in my hometown in China. Meeting them has completely changed my life and has made me realize how much fun it is to help people navigate in a different world. What are some of your favorite aspects of language instruction? I love interacting with my students and helping them build confidence. I love to bring joy to my classroom and be able to give my students a tool to see the world in a different perspective. I am truly privileged to have this opportunity to work with my students and make an impact on their lives. Many of my students have told me that taking Chinese has changed their lives, which makes me extremely proud. What words of advice would you share with an undergraduate student interested in studying Chinese at UC San Diego? Many studies have shown that learning a new language has many benefits -- mentally, emotionally and socially. We are a group of experienced, talented Chinese teachers who are ready to help and support your journey. Join us and enjoy! Read more about past featured language faculty members.